RGP confirms NERG part of 2015 event tour schedule. The Retro Games Party event supply team confirms they will be rolling out the cabinets again for NERG (North East Retro Gaming) after finalising brief but highly productive talks with event co-ordinator, Phillip Murphy. The event, in its 3rd year will return to Gateshead International Stadium in Newcastle on the 20th & 21st of June 2015, opening on the Saturday from 10:30am – 7:00pm and on the Sunday from 10:30am – 5:00pm. Although the event was announced in tandem with operating the 2014 show and indications were always towards us returning, it can take a number of months for people to recuperate and start planning next year. 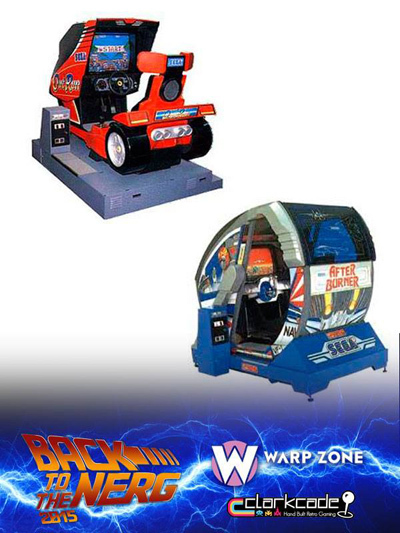 Retro Games Party has been a supplier to NERG on the two previous occasions. In the first year 40 machines from James’ personal collection stood with other collectors machines making a total of 56 – more limited by transport at the time than anything else. In 2014, after expansion to sit as part of a larger group, RGP were able to increase the show to approximately 100 games, 80 supplied by ourselves and a further 20 again from other collectors. The number of visitors and response also increased. This year will be approximately the same, transport considerations are the factor that can prevent you doing everything you want all the time. Its all planning. We always wait to find out what the client wants – which in Phil’s case is usually everything. This year there’s a concept we’ve been wanting to try out but were a little young in our experience to manage it – want to know what it is, come to the show. This year, some newer titles from our stock have been requested, NERG’s own marketing will announce all of them in due course and as well as some classics you can’t be without, there’s a vote going on the facebook page for whether we should bring the full motion Out Run or After Buner. At a previous event, I had to spend a fair bit of my time with my head inside the After Burner to try and keep it running but thanks to some hours put in by Mark, Gaz and others at base, its running solidly. Let the people have their choice. Just remember you’re not 12 anymore and the cockpit is a bit of a squeeze now for us adults. 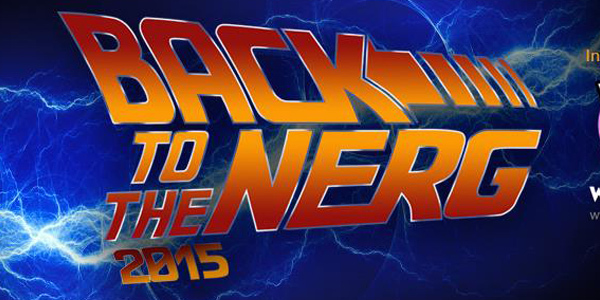 The 2015 NERG show is also sporting a Back To The Future theme by way of titling itself as “Back To The NERG” in reference to the first movie in the trilogy’s first trip into the future being. Maybe the DeLorean might burst into the middle of the hall? I still want to know when my hover board is arriving? If Phil goes forward to a 4th show in 2016, I wonder if the name will be along the lines of NERG the 4th Be with you! Admission: Flat rate ticket £15 day pass or £25 full weekend.